How to downgrade from iOS 12 to 11.4? Home How To's Phone Tutorials How to downgrade from iOS 12 to 11.4? The goal of Apple with iOS 12, as well as any other software grappling with an upgrade, is to go to refine the previous version of the operating system. Although currently, only the beta version is available and, as we have already told you, the advantages of this new version of the operating system appear obvious, there are people who do not appreciate its introduction. Whether it’s simple nostalgia or real and real problems, however, it must be said how there is a downgrade, or return to iOS 11.4. It should be pointed out how, as long as you are using the developer version or public beta, you can go back to the previous version of iOS simply by using iTunes from macOS or Windows (provided you have made a backup before upgrading). 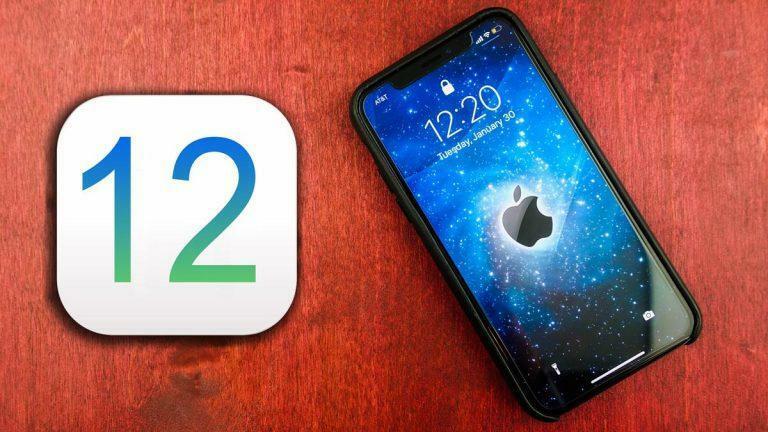 The situation will change soon, when iOS 12 will be officially launched on millions and millions of iPhone: at that point, to be sure you can make the fateful step back, you will need to have saved the BLS SHSH2. As it should be with any restoration, the advice is to disable Find My iPhone, although this can be done later when deleting the device (since you will be asked to do so). If you disable it first though, you will gain time. At this point, connect the iPhone to the computer, then start iTunes if this does not happen automatically. You’ll need to make sure to run the latest version of iTunes when you do so, then update the app first if you need to. You will know that you are connected to iTunes when you see the iPhone icon in the upper left corner of the window. Before you can go ahead and restore iOS 11.4 on your iPhone, you have to put it in recovery mode. This setting allows your iPhone to automatically restore the official iOS build. However, since different iPhones have different button layouts, the method to access restore mode is different from iPhone to iPhone. iPhone X, 8 or 8 Plus: as a first step you must press and release the Volume up button. Secondly, press and release the Volume Down button. Third, press and hold the side button until the iTunes screen is displayed. iPhone 7 or 7 Plus: Press and hold the Sleep / Wake and Volume Down buttons simultaneously until the iTunes screen appears. iPhone 6S or earlier: Press and hold the Home and Standby / Reactivate buttons simultaneously until the above screen appears. Once the recovery mode feature is enabled, iTunes will automatically ask if you want to update or restore your iPhone. Just press on Restore to start the operation. If you press Cancel, you can still press the Reset iPhone button on the iPhone reset screen in iTunes to continue. Now select Restore and update from the popup that appears to start deleting your iPhone and restore it to factory settings with iOS 11.4. To restore the archived backup, we need a separate action which we will see later. As promised, here is the technique to be used to load the rirpistino. Since your iPhone has been reset, you will need to perform the initial configuration steps. If you want to start from scratch, opt for Configure as new iPhone, while if you want to restore all your applications and data, touch Restore from iTunes Backup. During the restore phase of the archived backup, make sure you are still connected to iTunes and select your iPhone in the application. Then select Restore backup, then select the archived backup file from the list and press Restore. Note: If the archived backup of iOS 11.4 is encrypted, you will need to enter the password to continue.